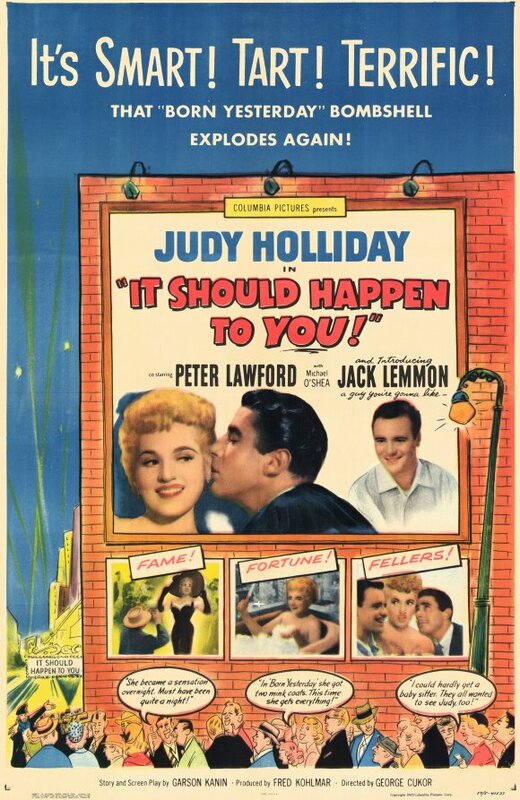 Hoping to “rise above the crowd” in New York, a young woman named Gladys Glover (Judy Holliday) rents a billboard for three months and places her name on it, much to the consternation of her new boyfriend (Jack Lemmon). 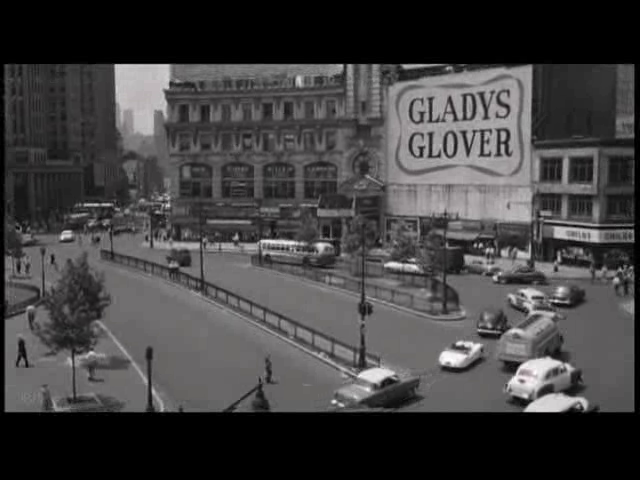 When a businessman (Peter Lawford) hoping to rent the space himself offers Gladys six other billboards in exchange, a “Gladys Glover” phenomenon soon sweeps the city. Judy Holliday’s third collaboration with director George Cukor and screenwriter Garson Kanin — after Born Yesterday (1950) and The Marrying Kind (1952) — was this modestly enjoyable satire about the follies of instant fame. The premise is years ahead of its time, and won’t feel foreign to a current generation of viewers raised on “reality T.V.”; yet Kanin’s script fails to exploit the situation to its full potential, with gullible public citizens depicted as far too naive, and Holliday’s publicist (Michael O’Shea) presented as simply a money-grubbing shyster. Another concern is that Holliday’s protagonist isn’t particularly likable: while her naive desire to “be somebody” is cute at first, we (like Lemmon) quickly grow weary of her inability to recognize the emptiness of her quest. Speaking of Lemmon, his infatuation with Holliday is equally suspect. Sure, this is a romantic comedy, and we shouldn’t spend too much time analyzing the logic of desire; but Lemmon’s initial inflammatory criticism of Holliday’s actions comes across so strong that we wonder why in the world he remains attracted and committed to her (despite her charms). Meanwhile, Lemmon’s occupation as a documentary filmmaker feels simply like a convenient plot device, one that brings him together with Holliday during their “meet cute” in Central Park, and nicely wraps things up at the end; but how he actually makes a living at this craft is left unexplained. On a more positive note, Cukor effectively utilizes authentic New York locations, and Holliday’s comedic performance is as stellar as always — making this a one-time must-see title. Yes, simply for Holliday’s iconic performance. Listed as a film with Historical Importance and a Personal Recommendation in the back of Peary’s book. An absolute must – as one of the most delightful comedies of its time, and for Holliday’s impeccable performance. I think it’s very true to state that one should not over-analyze this film. It *is* a comedy, and a very clever one. Should one go deeply under its surface? No. It’s essentially a love story – and here we see a couple of average, very likable (in my opinion) people who are caught up in a zany, not-very-believable situation which nevertheless plays out as plausible in its own way. In fact, I greatly admire the story’s essential simplicity: Someone buys a sign that is available for rent. Wackiness ensues. 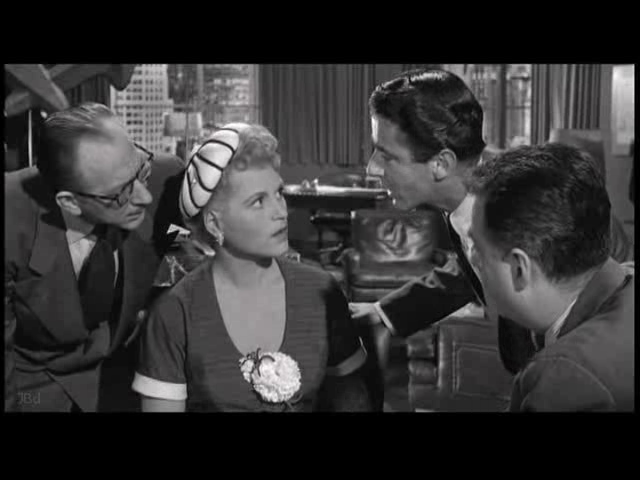 This is my own bias, of course, but I could watch Judy Holliday all day long. As I’ve stated elsewhere here about her work in other films, there’s something so appealing about her on-screen persona that you almost want to have her in your life as a personal friend. Whenever I see her in a film, I always believe the sincerity of her portrayal – it’s not just good acting; it’s like she creates a bond with the viewer. At least, that’s how it is for me. 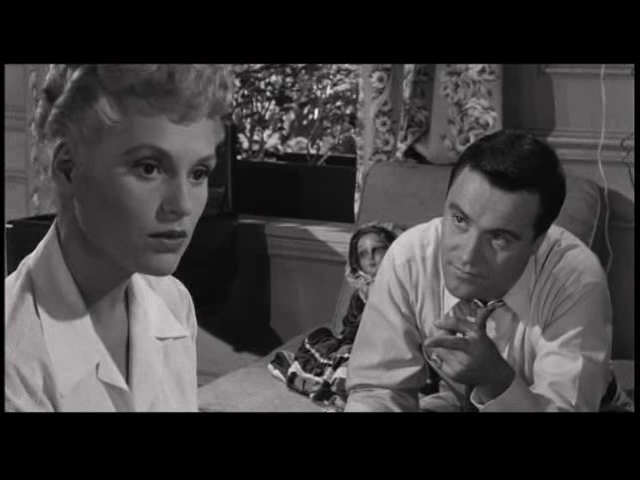 That’s why I find it particularly charming when Judy’s Gladys goes shopping for towels and is suddenly noticed by EVERYONE and is fawned over. (The bit players responding to her in this scene are hilarious!) We watch Judy liking being liked and that’s heartwarming (to me). Gladys has a conscience, but it’s a bit buried. Nevertheless, she is able to keep Lawford’s animal lust at arm’s length and, eventually – in the touching sequence involving a military plane being named for her – the real Gladys comes through without fear and with a new awareness of her worth as a person. I guess I just can’t say enough good things about this film. Seeing it again last night gave me immense pleasure. I think Kanin’s script is dynamite. (A personal favorite is when Holliday and Lawford keep driving around Columbus Circle so that she can see her sign. He suggests dinner and she responds with an airy “What’s food?”) Cukor’s direction here is among his very best work, esp. in terms of subtle touches and comic timing.